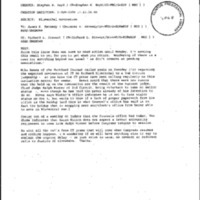 This collection consists of records relating to Richard Blumenthal. Richard Blumenthal served as the 23rd Connecticut Attorney General from January 1991 until January 2011; during this time, President Clinton approved the nomination of Blumenthal to a vacant seat on the United States Court of Appeals for the Second Court. 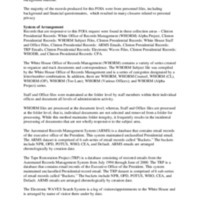 This collection consists of clippings, emails, forms, letters, memoranda, reports, and materials from White House databases.